Well our Ducks are about ready to head down to Levi Stadium in California to face the Cal Golden Bears Friday October 24th and boy, does last years Cal game, referred to some as the “monsoon bowl”, bring back memories. 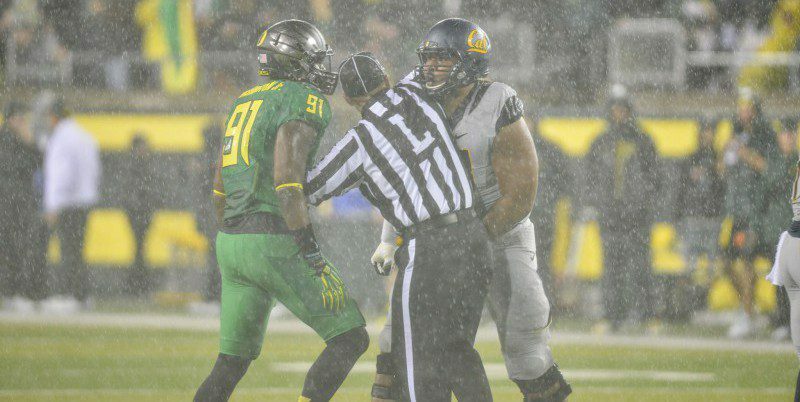 That was my very first game in Autzen Stadium; it was also my first experience having all my clothing drenched without having been completely immersed in water. The second I walked into the stadium I fell in love. I fell in love with the stadium, the atmosphere, the school and even more in love with the sport. After reading through some of the message boards and listening to some interviews it is evident that it was an unforgettable game for many fans, players and coaches. Jeff Faraudo with San Jose Mercury News discussed Cal Quarterback, Jared Goff’s recollection of last years game along with some coaches and player comments on it. 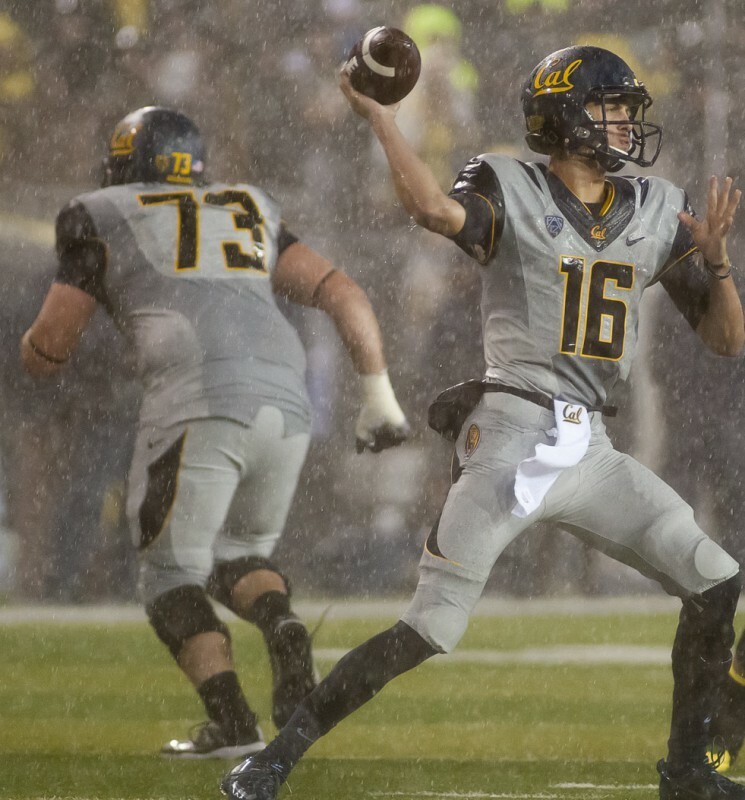 Goff said, “I couldn’t control the weather and I couldn’t control the way the ball was coming out of my hands.” Even Oregon Head Coach Mark Helfrich said that he had never seen anything like that before in all of his years. QB Jared Goff is better than ever for Cal this season. Is last year’s game any indication of what this Friday’s will look like? The weather definitely played a big part in the results of last years game. A hurricane of water fell upon us hard and non-stop, but does that mean that we’re really going to see that big of a difference to what Cal brings to the table this year? Sonny Dykes, a Cal coach, said there is little connection between last year’s game and what might happen Friday night and that they anticipate playing better. When I interviewed Marcus Mariota earlier this week he was asked if they were able to go off of film from last years game due to the weather and Mariota mentioned that it is tough to watch that game from last year but also that Cal has a new Defensive Coordinator so that changes things a little bit too. Mariota was also asked how the rain affected his grip last year and he said it was difficult but you have to play through stuff like that sometimes and his high school coach always told him to grip the ball a little less and that helped. The 2013 Cal game will always be a game I will never forget and I think that rings true for a good majority of the fans, players and coaches in attendance that night. I’m hoping our boys come out and play a game more memorable in Levi Stadium tomorrow night than they did in a relentlessly unheard-of storm last year.